Учебник английского языка. Книга 1 (для начинающих). включающий в себя задания по разговорной практике, чтению, письму и прослушиванию. 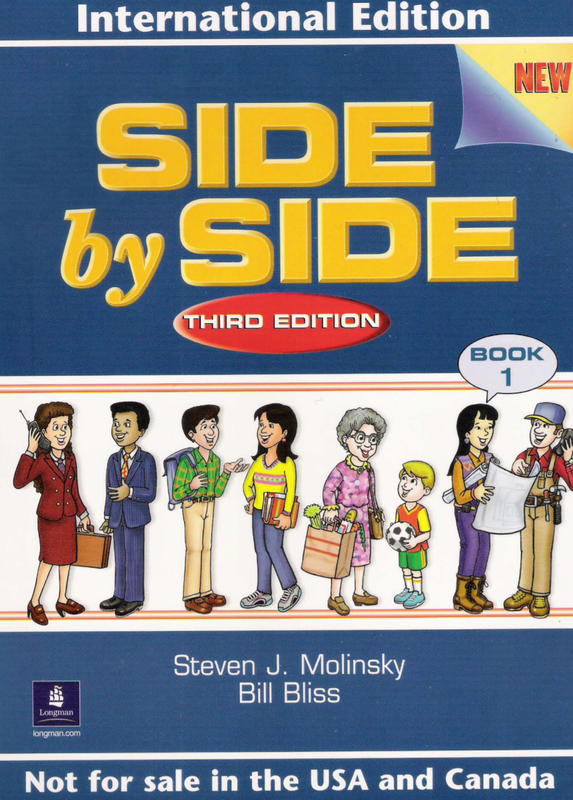 Side by Side 1 (Student's Book), Third Edition, by Steven J. Molinsky and Bill Bliss, is a dynamic, all-skills program that integrates conversation practice, reading, writing, and listening -- all in a light-hearted, fun, and easy-to-use format that has been embraced by students and teachers worldwide. This four-level program promotes native communication between students ... practicing speaking together "side by side." 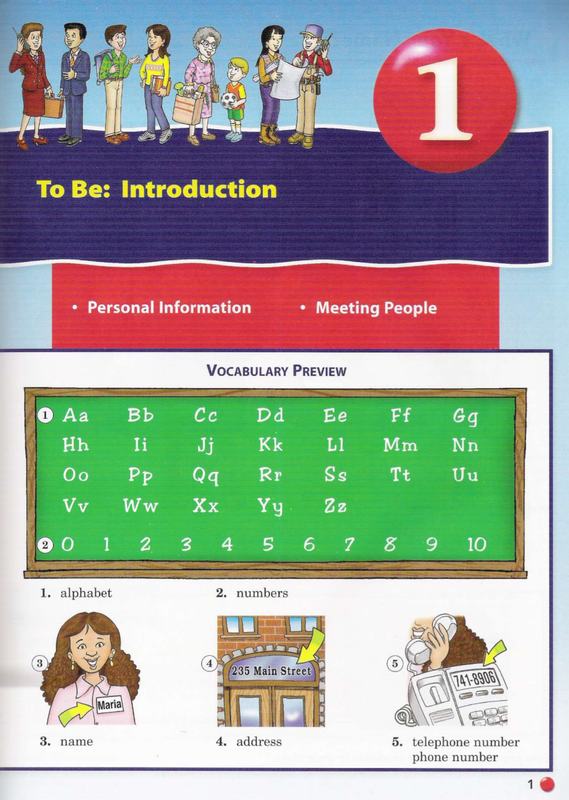 Vocabulary Preview sections in every chapter introduce key words in a lively picture dictionary format. "How to Say It!" 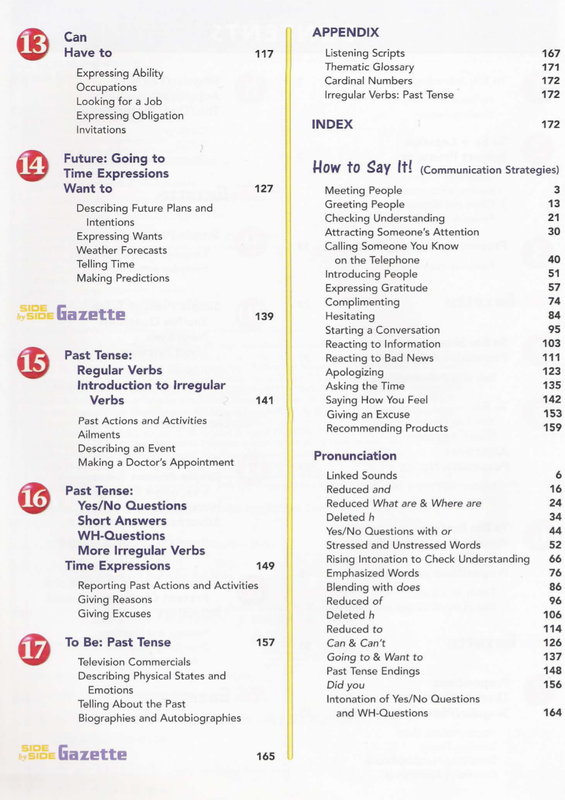 lessons highlight communication strategies. Pronunciation exercises provide models for practicing authentic pronunciation, stress, and intonation. 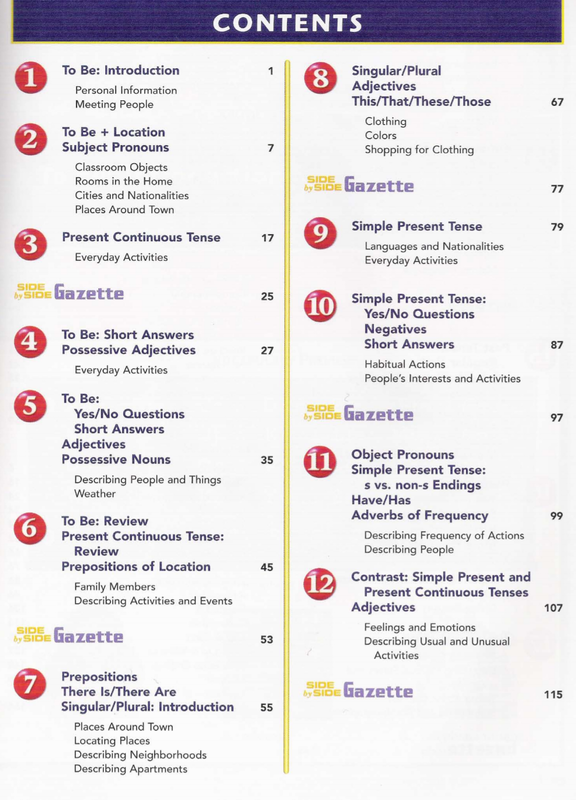 Side by Side Gazette "magazine-style" pages offer feature articles, fact files, vocabulary expansion, cross-cultural topics through photos, authentic listening activities, e-mail exchanges, and humorous cartoons for role-playing. All-new illustrations are lively, light-hearted, and richly detailed to offer students language practice that is contextualized and fun. 013 How to say it! 021 How to say it! 030 How to say it! 040 How to Say It! 041 The Weather Is Terrible Here! 051 How to Say It! 057 How to Say It! 074 How to Say It! 084 How to Say It! 005 H GrammarRap; Hi! Hello! 016 D GrammarRap; Frank; at the Bank! 034 P GrammarRap; Terrible Weather! 085 C GrammarRap; I Smile When I'm Happy! 095 G GrammarRap; Of Course They Can!